Music therapy is a type of treatment which uses music to achieve certain healing and therapeutic goals within its patients. 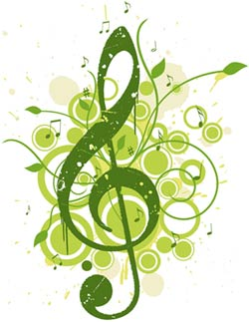 A musical therapist will often cater the music in order to treat each specific individual. Music therapy may be used to deal with emotional, social, familial, cognitive, physiological, and developmental issues. Music is effective because it is able to often form a connection between the conscious and unconscious mind by influencing an individual’s moods and emotions. Music therapists use the fundamental elements of music (sound, rhythm, hearing, and movement) to relate to individuals’ experiences. Music therapists believe that music is highly influential in a person’s life, even from an early stage. In fact, research has shown that even a four month old fetus can hear music, and a fetus is able to hear other sounds such as voices, noises, and its own mother’s heartbeat and digestive system. Musical influences continue throughout childhood, as the baby experiences the rhythm of its mother’s heartbeat, breathing, and rocking motion. Even post-birth crying that babies exhibit has musical elements such as rhythm, movement, and sound. These elements are used much like music to express feelings and communicate with the outside world. The idea that music is therapeutic has been around for centuries. Pythagoras thought music could be used to heal what he called “soul sickness”. In Greek mythology, music often was described as having magical powers, and could not only heal the sick but also purify the mind and body. The Bible has music therapy references, as the talented musician David is brought before King Saul to help cure the King of his ill humor by playing the lyre (Samuel I, 16, 14-23). Other cultures viewed music as a vital aspect of life—healers and shamans used rhythmic chants, incantations, drums and rattles, clapping, and stomping for their various religious ceremonies, often intended to produce trance-like or ecstatic states in the listeners. Once in a hypnotic state, they believe themselves more able to communicate with spirits, cure illnesses, and soothe and relax the sick. Music therapy became popular in the United States after the Second World War, when music was played to ease the psychological sufferings of veteran soldiers. The profession of music therapy truly expanded in the 1950s, as the National Association for Music Therapy was founded, and programs to train musical therapists were instituted at the university level. These developments followed findings from various professionals in the medical, educational, and musical fields that music was able to achieve significant therapeutic results. Though not commonly noticed, the elements of music therapy are prevalent in most people’s everyday lives. For example, wedding marches and funeral dirges evoke vastly different emotions. Music played at sporting events is designed to excite the crowd. Movies use music to release tension or build suspense. Music at doctors’ offices is often calm and soothing, and mothers often sing their babies to sleep. In practice, music has been used to help individuals recover from illnesses or operations at a quicker pace than normal. Music has also been shown to be able to reduce stress and lower an individual’s heart rate, as well as help alleviate persons suffering from acute depression and anxiety. Music therapy is particularly soothing for persons who are unable to verbally communicate with others, as well as for the terminally ill. Mentally ill patients also find benefit in music therapy, as it has been shown to benefit individuals with autism and Down’s syndrome. Finally, music therapy has been found to be an effective part of a treatment plan for hyperactive children and children with learning disabilities. One of the primary reasons for the effectiveness of music therapy is that it is able to reach the unconscious mind. Musical elements are such a large part of an individual’s life, even from an early age, that music has a profound effect on the brain when used therapeutically. Therapists find that individuals are able to access repressed memories through music, and are able to explore their thoughts and emotions in ways that were not previously possible. Music therapists should be trained in their profession, as undergraduate and postgraduate degrees in music therapy are available in the United States. For musical therapy to be truly effective, there must be a trusting relationship between the therapist and the patient. The more trusting and reliable the relationship between the therapist and patient, the more effective the music therapy is likely to be. A music therapy session often begins with a discussion between the therapist and patient about their goals for the session, and what issues the patient is dealing with. Then, the client and therapist begin to use instruments and music to help explore those issues. After playing or listening to music, the therapist and patient will often discuss what happened during the period of musical expression. There are a number of different ways to experience musical therapy, including having an individual make the music themselves, or having an individual listen to music alone or as part of a group. Often, music therapists encourage experimentation on the part of the patient, letting them create music themselves on various instruments as well as listening to various types of music. This improvisational technique, employed by many musical therapists, is highly effective because it allows the patient to move past conscious behavior and reveal things about themselves unconsciously. The musical therapist should see the musical output as each patient’s unique way of expressing their innermost thoughts and feelings. A key goal of music therapy is enabling the patient to be able to express themselves through music, whether by listening or creating it themselves. Music therapy can be helpful for any number of people and conditions, no matter the person’s age. For example, music therapy has been used to help foster social and communication skills in autistic children, individuals with learning disabilities, and individuals with mental disorders. It is also effective in helping individuals deal with anything from a traumatic accident to emotional, social, and familial problems. One of the most promising aspects of musical therapy is that it is so flexible, and different variations of the therapy may be used to help treat any number of conditions.